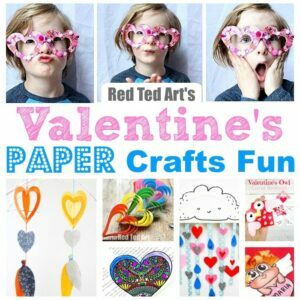 Time for some adorable Paper Valentine’s Day Crafts!! 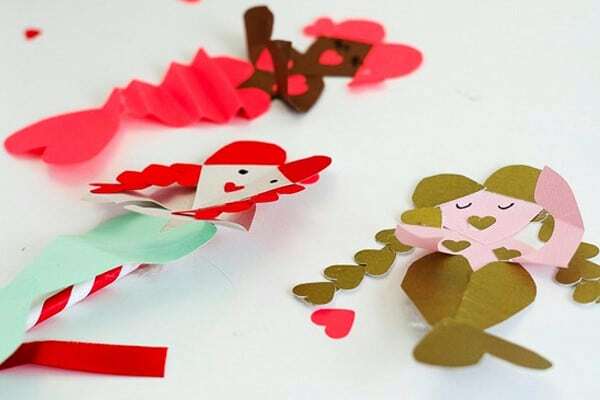 Not only are these made completely from paper.. but they are adorable Mermaid Crafts too!! 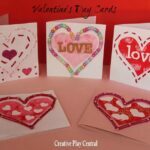 What a cute DIY Valentine’s Card these would make! Who can resist a mermaid? 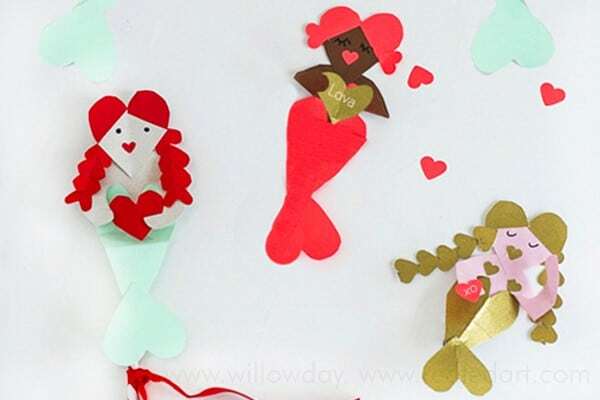 Join Gina, from willowday,to dazzle your kids in making these Heart Mermaid Valentines this year. I’m so please to join Maggy in this wonderful project and community. My name is Gina. I’m an American designer, illustrator and a some-times English teacher, living between the city and sea in Sweden, with my husband and three kids, who inspire me daily. 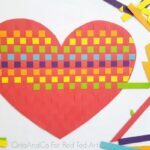 I’m passionate about kids and connectivity and I share my whimsical everyday world in Sweden, accessible DIYs, crafts, paper play things, travel and everyday creativity with kids along with illustrations as prints and a new ABC book, ABC FLOWER Safari, on my blog, willowday. From earliest memories, I filled my pockets with flower petals, turn cardboard boxes into doll houses and imagined far away places and imaginary worlds from her garden and pinch myself that I’m able to work these these same things as an adult, parent and educator. 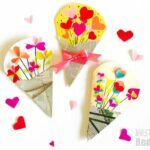 Wishes from a wonderful, creative, Valentine’s Day, too! 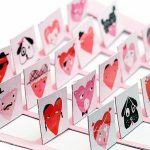 You can find me on Instagram, Pinterest and Facebook. 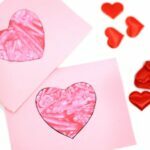 Do you remember the first paper-heart valentine you ever made? I do. Mine was a dog-shaped Valentine. 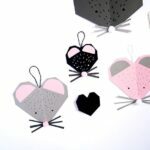 It was pure magic to see that I could cut just 3 simple paper hearts but, then glue and embellish these to transform them into something else. 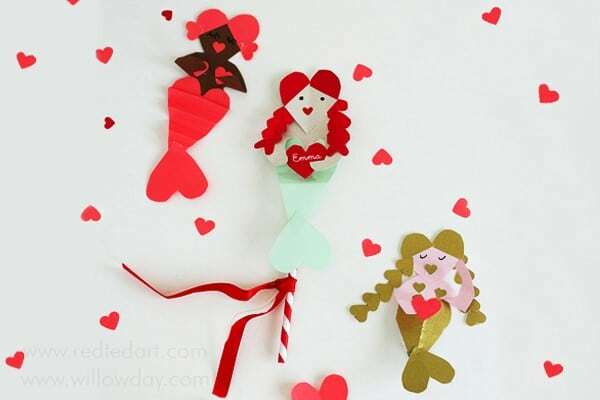 Today, I’d love to show you how to make these Mermaids, using basic paper hearts. 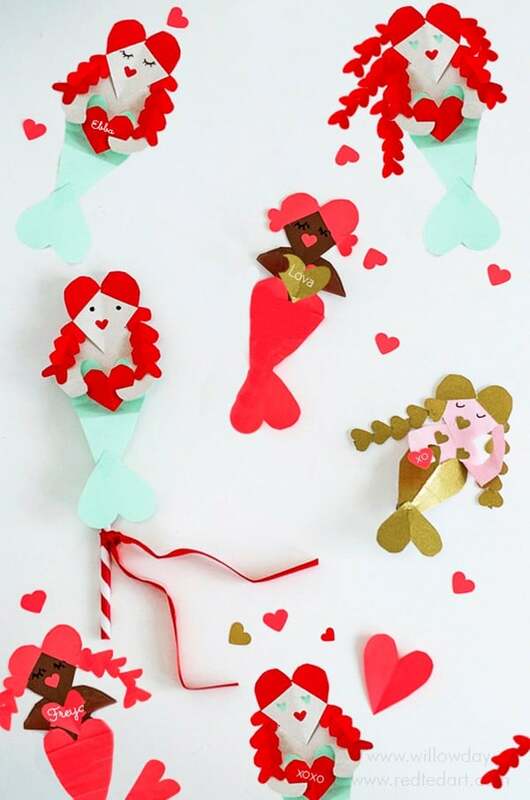 Swim with me below and learn to make these simple Paper Mermaid Valentines, too. I can’t stop and I hope you feel the same. I bet you already have all that you need in your house to start immediately. 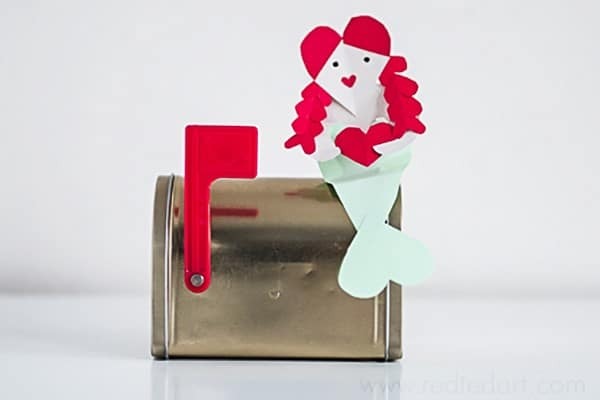 Make a Paper Mermaid Valentine to give away as cards. 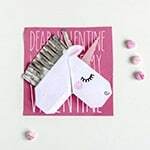 Place it on a paper straw or stick for a Paper Mermaid Valentine. 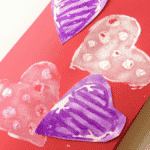 Embellish the heart and face, as desired (see Valentine’s we’ve made for inspiration. Cut extra heart to place in the hands of the mermaid. We pasted these into the Mermaid hands with small messages. 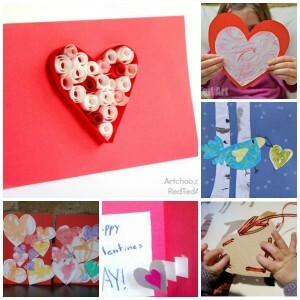 There is something so eternal yet fresh to me about the simple art of making Valentines with nothing but paper hearts. 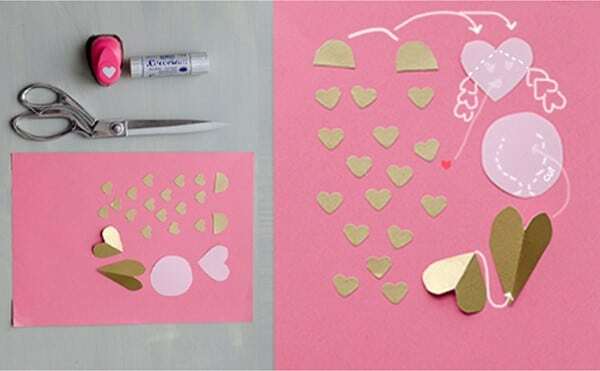 I remember that magic when I realized as a kid that I could create “something new” with paper hearts. 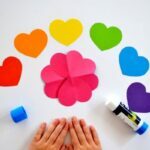 I loved making these with my kids and always use these in my classrooms as I’ve taught English — there is so much to explore in the concept from colors to directions and more.